blog home Criminal Defense New Surveillance in Long Beach an Invasion of Privacy? According to the Long Beach Post, the East Anaheim Street Business Alliance (EASBA) debuted two new surveillance cameras at a public event, at which they also announced the plan to install two additional surveillance cameras over the course of the next couple of years. This is the beginning of a trend in the Long Beach area. In August 2012, the Long Beach Police Department launched the Long Beach Common Operating Picture (LBCOP) program which connects more than 400 surveillance cameras in the Long Beach area (both private and public), a resource that the Police Department can use. But the use of all these cameras has drawn concerns from the American Civil Liberties Union (ACLU). The Long Beach Police Department takes these concerns seriously and insists that the cameras would only be used to help them apprehend suspects of criminal activity. But, even in this scenario, could such a vast resource lead to misinterpretation and mistakes? 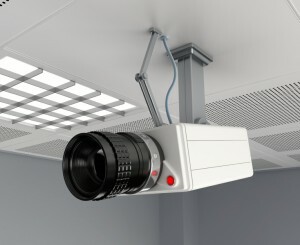 Surveillance cameras do help in the prevention and resolution of criminal offenses, but that does not mean that cameras are always right and it doesn’t mean that they are immune to tampering. If you have been accused of a crime in Long Beach, remember that you have legal rights. Officers and/or prosecutors may tell you that they have video proof against you and that you don’t have a chance, but that is not true. At The Law Firm of Joseph H. Low IV, experienced Long Beach criminal defense attorney Joseph Low believes in your side of the story and can help protect your legal rights. To discuss your situation, call us today for a free consultation at (888) 454-5569.